Sunday, Diane and I made our way to the Electric Factory on North 7th Street in Philly to see Little Steven & the Disciples of Soul. The general admission/standing-room only concert hall first opened its doors in 1994, yet it was my first time on its cement floor. Steven and his 15-piece band, which includes a horn section and three backup singers, came on at 8:30pm and played for about two hours, delivering a solid 22-song set that worked best with the uptempo songs. The slower numbers, such as the doo-wop “City Weeps Tonight” and funky “Down and Out in New York City,” drowned beneath the din reverberating from the bar. It didn’t help that – as the picture below shows – we were far back from the stage. Also, the sound was trebly and dense, akin to sparkly sludge. Still, it was a good show and night, though by the time I collapsed into bed it was technically early Monday morning. I slept through my 5:50am alarm, rolled out of bed about two hours later and hit the road minutes after that – which was when I learned of the mass shooting at the country music festival in Las Vegas. Since 1983, I’ve attended concerts large and small, in hallowed halls and cruddy clubs, and there are literally only a handful that I wish I’d skipped – the Singer Who Must Not Be Named springs to mind, especially. That is to say, I rarely leave a show unhappy with anything other than the drive home. Diane’s cut from the same cloth. We see concerts. It’s what we, in part, do. Music may not be salvation, but it is God’s gift. No matter the style or genre, be it rock, pop, country, hip-hop, R&B, soul or blues, or any of the many sub-genres therein, whether it’s critically acclaimed or not, it serves a purpose larger than itself. It feeds the spirit. That such a secular communion was bloodied by someone with a gun? It breaks my heart. Now, the TLA has been around forever and a day, primarily as a movie theater but also as a playhouse; it wasn’t until 1988 that it began life as a concert venue. My first time there, I think, was in late 1982 to see Ciao! 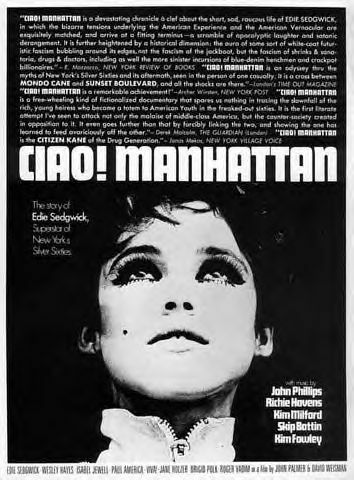 Manhattan – though it could have been earlier that year to see another esoteric film. The first time I saw a concert at the locale, however, came seven years later, when I took in the Indigo Girls on back-to-back nights. Back then, the venue was stellar, as it retained movie-style seats – you sat back, and the music washed over you. Somewhere along the way, however, the powers-that-be realized more money could be made by removing said seats, as bodies could be packed in, and it became primarily a standing room-only venue. Eventually, in the mid or late ‘90s, a balcony was added and…off the top of my head, the last show I remember seeing there was Steve Earle and the Del McCoury Band in 1999. Anyway, this night, we were in what’s called the “Crow’s Nest” – a VIP (more expensive) section that I imagine was added at some point in the 2000s or 2010s. It features a great view of the stage and, too, there are seats, which – given that I was still dragging from Sunday’s late night – were a necessity. 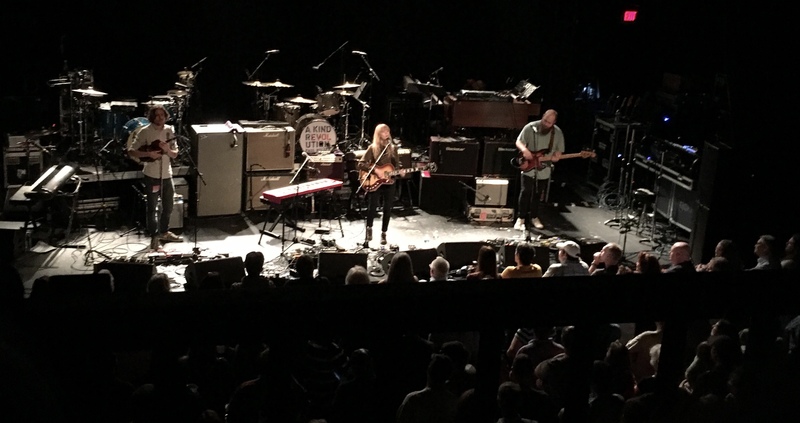 Lucy Rose, for her part, overcame a sea of indifferent Weller fans to deliver a sublime (if too-short) set of her stirring songs – as I tweeted her after she left the stage, she really needs to play a venue more geared toward singer-songwriters, such as the World Cafe Live. After the main set, he and the band returned for five acoustic numbers that I assumed – given the time of night – would cap the concert. I was wrong. They then switched back to electric and…whoa! “These City Streets” from Saturns Pattern, “Peacock Suit” from Heavy Soul, the Jam’s “Start!,” “The Cranes Are Back” from A Kind Revolution and “The Changingman” from Wild Wood ended the night in tremendous fashion. In short, it was a great, great concert. 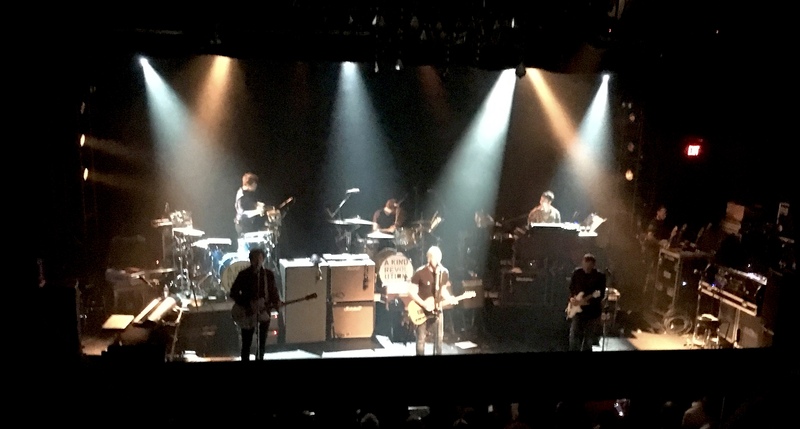 Weller delivered blistering guitar solo after solo and raucous piano runs, his dual drummers pounded out propulsive rhythms, and the band as a whole – wow. Just wow. There were a few songs that I wasn’t familiar with in the moment, but it didn’t matter. The show washed away the heartache and heartbreak from a bad week, and renewed my spirit. He and his crack band gave us the beat and freed our souls…if only for a night. Never have seen Weller in concert. But my own attendance has been so slight over the last couple of decades, what few I’ve seen have tended toward classical music. Lots of jazz, some classical, bluegrass, rock (mostly punk), some rap and go-go/funk in DC in the dozen years before that…and about as much in Hawaii before that as I could afford and looked/sounded interesting, if fewer Hawaiian music concerts than I could have.